Something that I’ve noticed not a lot people know, is how to get your disk performance to show up on a server’s task manager. Yes, yes, I know. With the new Microsoft model you shouldn’t be RDP’ing to servers anyways — but I still get asked how to do this. For some reason they have this by default on Windows 8, but not enabled on Servers. So here’s the one command you need to fix that. 2) Run the following command to enable it. This enables the physical and logical disk performance counters. 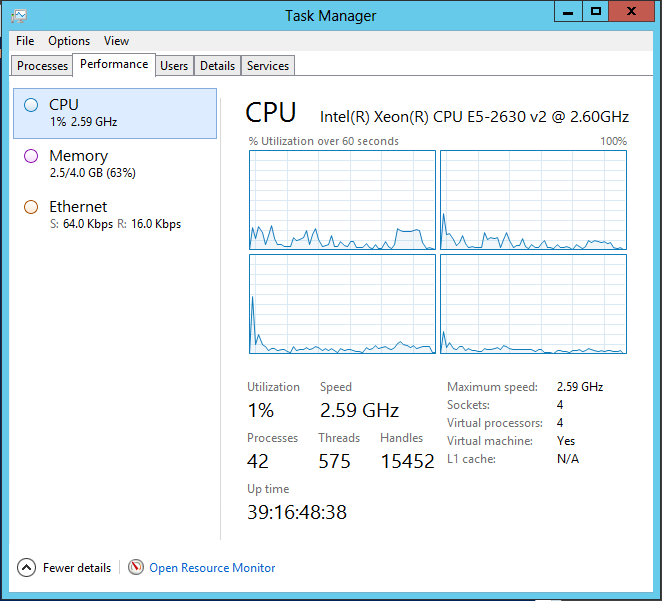 3) Close and re-open task manager. 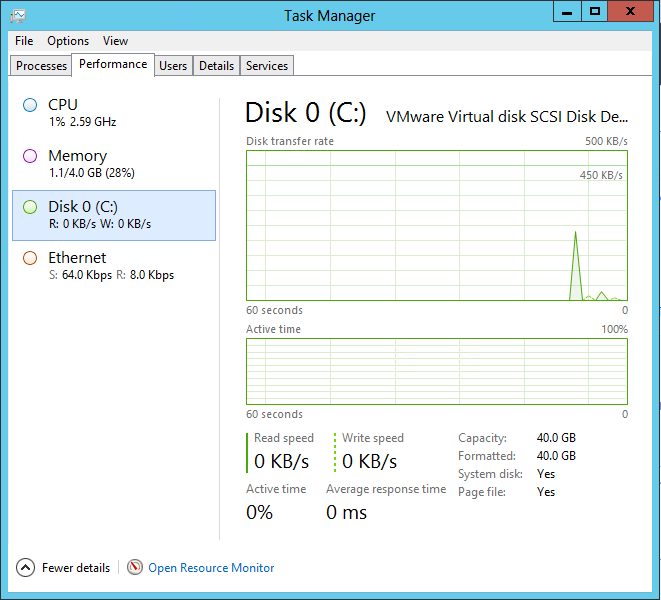 This entry was posted in Storage, Windows, Windows Server and tagged Disk Performance Counter, Server 2012 R2 Task Manager, Server 2012 Task Manager, Server Disk Task Manager, Task Manager DIsk.